1961 England. Laurel Nicolson is sixteen years old, dreaming alone in her childhood tree house during a family celebration at their home, Green Acres Farm. She spies a stranger coming up the long road to the farm and then observes her mother, Dorothy, speaking to him. And then she witnesses a crime. Fifty years later, Laurel is a successful and well-regarded actress, living in London. She returns to Green Acres for Dorothy’s ninetieth birthday and finds herself overwhelmed by memories and questions she has not thought about for decades. She decides to find out the truth about the events of that summer day and lay to rest her own feelings of guilt. One photograph, of her mother and a woman Laurel has never met, called Vivian, is her first clue. 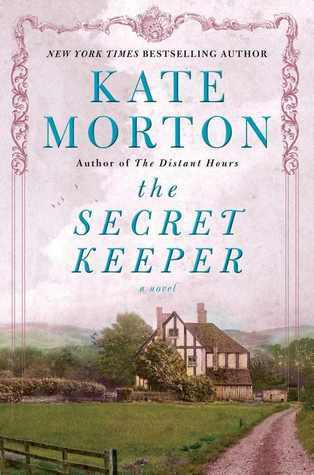 The Secret Keeper explores longings and dreams, the lengths some people go to fulfill them, and the strange consequences they sometimes have. It is a story of lovers, friends, dreamers and schemers, play-acting and deception told against a backdrop of events that changed the world. I received a copy of this from the publisher via Kate Morton's facebook page, which is also the cover pictured above. Kate Morton has written a book that grabbed my attention with the prologue and really didn't let go until the last page. It was a book that I enjoyed so much that I savored it. I didn't rush through it, but enjoyed the process. I learned about Dorothy, Vivian and Jimmy. I learned about their dreams, ambitions, struggles and fears during war torn England. It was a book that was so smooth, all the dots connected nicely and an ending that I will admit didn't see coming. Ever since The Forgotten Garden I have been a fan, then came The House at Riverton and it reminded me why Kate is a favorite of mine, now add this book and I am hooked. Though I must say that the author does have her hands full topping this one, definitely a 5+ rating for me. Glad to see you liked this one as much as I did. This was my first Kate Morton book and I'm in love. Can't wait to read her others. I haven't read Distant Hours yet, but I really enjoyed The Forgotten Garden and the audio of The House at Riverton. I finished it las week and I really loved it. I had only read The forgotten garden and I decided to try with this new novel and it was a really great idea. What I liked most was the love story between Jimmy and Dorothy: in The forgotten garden love story is missed, and I think to include it in this novel makes the story just perfect. That's it! As much as I loved The Forgotten Garden there just seemed to be something missing and I couldn't put my finger on what it was. I thought about it after I read The House at Riverton and The Secret Keeper also, what were the differences in these books. The love story was missing, thanks for commenting on it, now my mind is at peace, lol. Oh thank you. 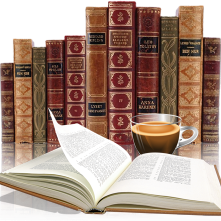 I'm just starting a new adventure because I need to improve my English, and I decided that a book blog was a great idea because you always have something to talk about.